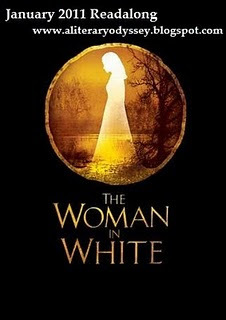 I've fallen disgustingly behind on The Woman In White but have continued reading it and enjoying it. Collins wastes no time in jumping right into the plot. The reader is immediately presented with puzzles and mysteries, making he or she want to continue reading and find out what's going on. As the novel goes on, we hear what's happening from a variety of narrators. I particularly enjoy this because each one has such a distinct voice. This story has two elements of a great mystery novel: romance and suspense. There is a lot of in depth detail, so you have to make sure to stay alert. I've read a bit past the halfway point by now, and at a total "OMGWTFBBQ!!!" moment of the story, so I can't wait to see what happens next. Look out for my full review soon! Oooh, I cannot wait to read this! It's on my TBR pile to read soon!